La Rioja, Ribera del Duero, Rias Baixas, Jerez, Priorat, and Penedes (Cava) — among the most recognizable wine regions in Spain. The Spanish section of restaurant wine lists and coveted retail bottle shop shelves are generally devoted to these highly regarded regions. Regions that have long been terra incognita with wine consumers are emerging from the shadows and finally being recognized for their world class wines. These once overlooked regions are playing a more prominent role in the Spanish wine narrative. The DO Montsant, a young appellation with a deep history dating back to the 13th century, is atop the list of regions in Spain rising in stature in the global wine marketplace. Situated 120 kilometers southwest of the Catalan capital city of Barcelona, the Montsant DO was formed in 2001. 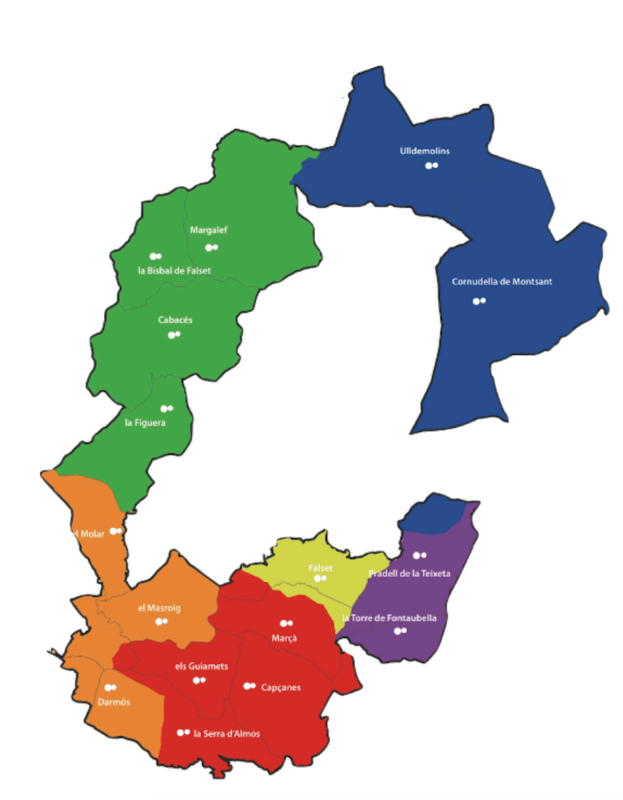 This historic region, formerly a subzone of the DO Tarragona, forms a semicircle around (like a bangle around a wrist) the renowned DOQ Priorat region. Montsant is a red wine region. About 95% of the 1,900 hectares (~3,00 acres) under vine are planted to red varieties: about 35% of acreage is planted to Garnatxa (Grenache), roughly 30% Carinyena (Carignan), followed by classic Bordeaux varieties like Cabernet Sauvignon and Merlot and other international grapes like Syrah are widely planted. Grenache Blanc is the most planted white variety in the region (55%) followed by Macabeu (39%). The hot Mediterranean climate produces robust reds that are generally north of 14% abv but the high acidity give the wines freshness. Wines made from red Garnacha (grenache) are juicy, expressive and complex. The wines made from white grenache are elegant and layered with wonderful texture. Six distinct areas make up the C-shaped region, each boasting unique microclimates, topography, and range of soils. This diversity is Montsant’s strength — diversity of soils, microclimates, orography and topography. Limestone, granite-like sand, sandy loam, slate-based soils (known locally as ‘llicorella’), and red clay make up the diverse soil types found in the Montsant. Six mountain ranges enclose parts of the region along with the Siurana and Montsant rivers add to the topographic diversity. 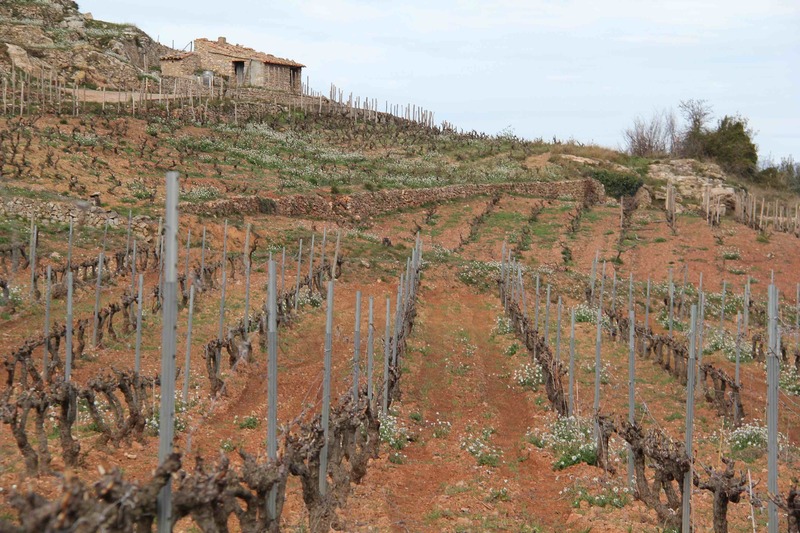 The majority of vineyards in DO Montsant are planted in the llicorella and clay-based soils around the southern towns of Marçà and Capçanes and in the sandy loam soils of the southwestern towns of El Masroig, El Molar, and Darmós. Here the land is flatter and at lower elevation with higher average temperatures than the surrounding areas in the west and north. 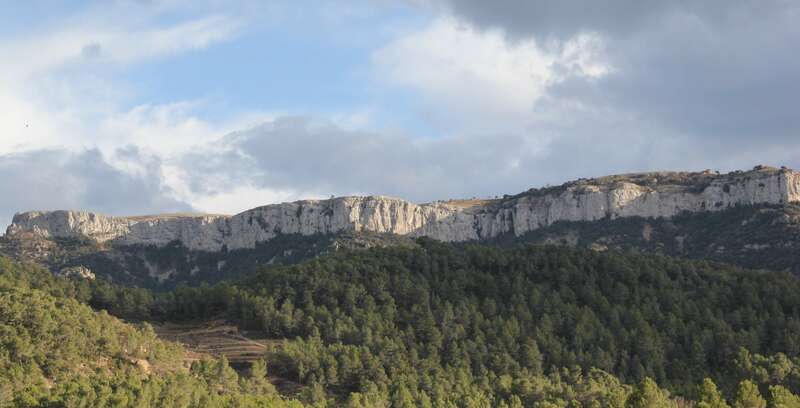 The northern region of Cornudella de Montsant and Ulldemolins, where vine roots grow deep in loamy and limestone soils and some slate, is marked by the Montsant mountain range (Serra de Montsant), which peaks at over 3,500 feet (though no vines are planted at that elevation). Here Grenache thrives. As a result of phylloxera ravaging vineyards across the region in the late 19th century, many farmers migrated to the cities for industrial jobs. Farmers that stayed, relied on a communal effort to keep the region viable and maintain their agrarian way of life. Wine cooperatives have played a critical role in sustaining the Montsant region for decades. Today, there are nine wine coops in the DO Montsant that remain important to the economic viability of the agricultural-based region. One of the largest and most important coops is Celler Masroig, located in the southwestern town of El Masroig, founded in 1917, produces about 600,000 bottles from grapes from 200 growers in the region. Though the region is steeped in winegrowing history, Montsant has attracted young winemakers fiercely committed to elevating the stature of the region. These talented young winemakers, educated at some of the top oenology schools in France and Spain, bring youthful energy to the historic region. Third generation winemakers like Anna Rovira, winemaker at Celler de Capçanes, a kosher wine producer (under the Lo Mevushal method), focuses on expressing the diversity of Montsant terroir. Rovira’s line of Grenaches vinified the same way but from four different soils (Sand, Clay, Limestone and Slate) offer a fascinating study and taste of Montsant’s terroir. Talented young winemakers like Rovira and Albert Jané, founder of Acústic Celler in Marçà, among others, are in lockstep with modern-day Montsant pioneers like Jesús del Rio Mateu, current caretaker of Mas de l’Abundància, in helping write the next chapter of the Montsant story. This includes environmental stewardship by embracing organic and biodynamic farming and focusing on expanding exports. Japan represents the largest market outside of Europe for most Montsant producers while Germany (and the domestic Spanish market) is the largest EU market for most winemakers. Continuing to produce distinctive world-class wines while focusing on expanding exports will be an important part of DO Montsant’s continued emergence on the global wine stage. As much as any DO in Spain, Montsant is most likely to join the coveted ranks of DOC, alongside Rioja and Priorat (DOQ). Check back next week for the second installment the four-part series — Montsant Rising.